After parting ways with Eric Wood, the Chinatrust Brothers have confirmed the signing of the former Seattle Mariners’ infielder Alex Liddi on April 2. 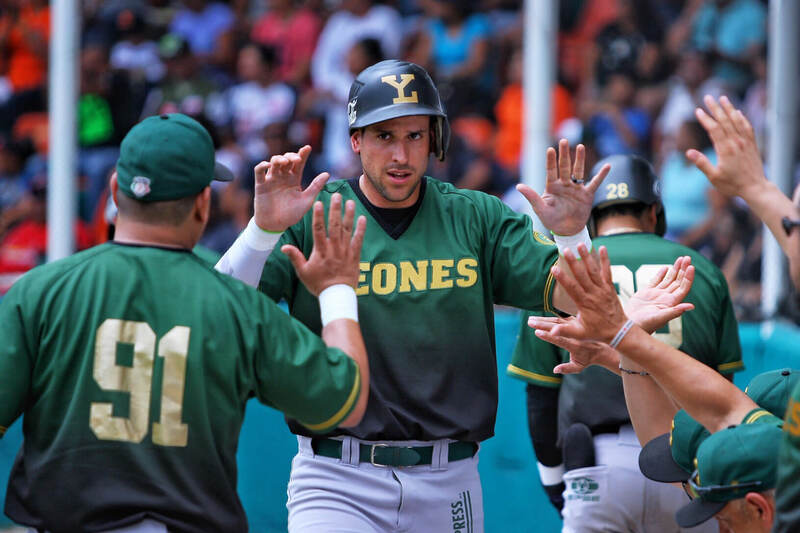 Despite already signed with the Leones de Yucatan in the Mexican League, Liddi will depart from the LMB and join the Brothers for the 2019 season. The 30-year-old Italian WBC team member can play multiple positions covering third, first and outfield if needed by the management. It is also worth noting, Liddi is set to be the first Italian player to appear in the CPBL. “He is a corner infielder with a long experience as a third baseman but started playing more first base in the minor league,” said Kevin Senatore who writes for Federazione Italiana Baseball Softball. *Note: In the past, there were plenty of Italian American players in the CPBL, but Alex Liddi will be the first homegrown Italian to sign with a CPBL team. The Mexican media initially reported the story of the Alex Liddi signing on April 1. At the time, the Brothers’ organisation has declined to comments, only stated there is a new foreign positional player inbound for Taiwan. It is not until the next day the team issued an official press release on the signing. In past few seasons, Liddi bounced around between the affiliated baseball in the United States and the Mexican League (LMB). In 2018, he posted a .247/.295/.483 with 23 home runs with the Kansas City Royals’ Double-A team. During the winter of 2018, Alex Liddi went down to Mexico to play in the winter league and slashed .286/.355/.420 with four home runs over 251 plate appearances. “He played winter ball with the Venados de Mazatlan at the end of 2018, Liddi can hit for power but might have some potential defensive problem,” said Bambino Sedano from Puro Beisbol. According to the Brothers’ press release, Liddi is expected to arrive in Taiwan on April 7. The team is still in the process of signing another foreign pitcher as the backup in the farm team. Alex Liddi looked really promising in the MLB minor leagues from 2010 through 2012, but then he hit a wall, probably because he strikes out too much. He definitely has power. It will be interesting to see what he does in the CPBL. Yeah, I think power wise he will have no problem. It is the problem of coming to Asia and adjusting to the breaking balls. (I guess the Asian pitching strategy is a better way to put it). Liddi was on the same team with manager Scott Budner during their time in the Mariners system, so I guess both should get along well. Also, remember Eric Wood? Kid is now back to the Pirates’ organisation. Happy to see him landed another job after this incident in Taiwan with Scott Budner.